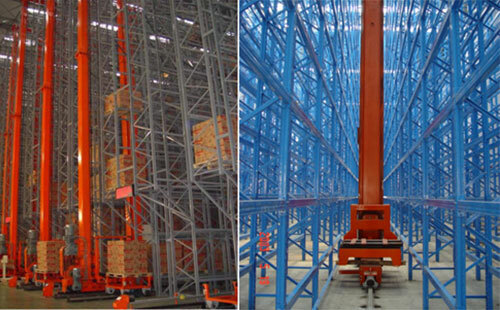 Automatic storage and retrieval system (AS/RS) is the latest technology in storage systems. 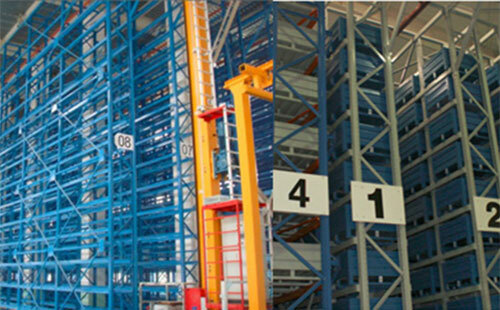 The material can be stored without any kind of labour, using stacker cranes thus saving precious time and resources. The material has to be loaded onto the loading dock which can be done either manually or can be fully automated. Once the material has been loaded on the loading dock the storage location can be decided with the help of a control panel, which is located adjacent to the loading dock. Once the location is keyed either in manually or through RFD, the material is automatically loaded onto the stacker crane which puts it in the desired shelf. Maximum storage in a limited space. Automation of dangerous and hard work, storage and retrieval process. Easy management of inventory with various managing methods such as FIFO and ABC analysis. Prevention of accidents and damage. Easy and fast maintenance through modular and standard design.